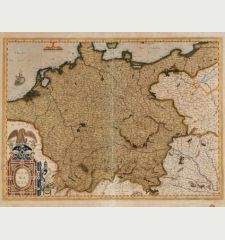 Old coloured map of Germany. 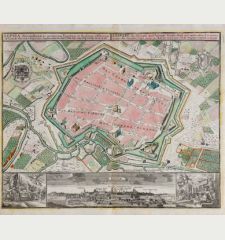 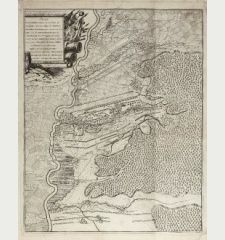 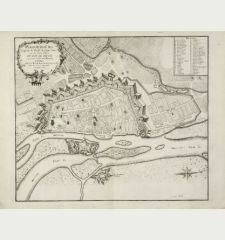 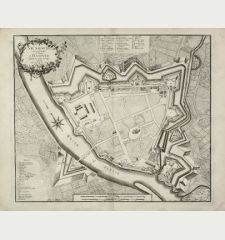 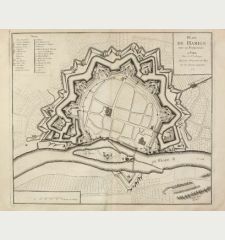 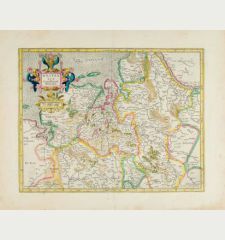 Printed in Amsterdam in the year 1644. 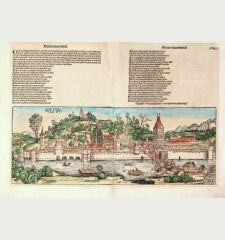 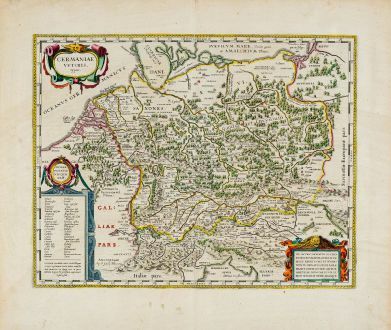 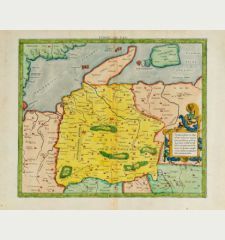 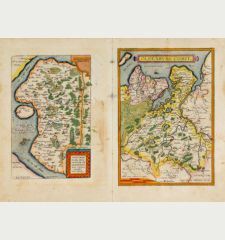 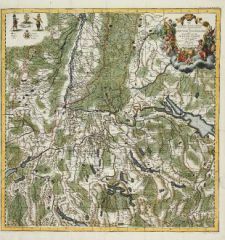 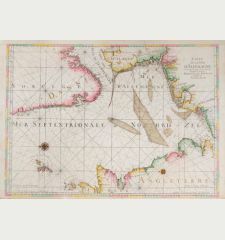 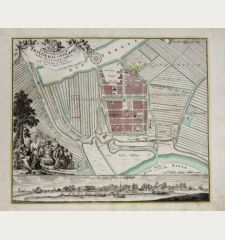 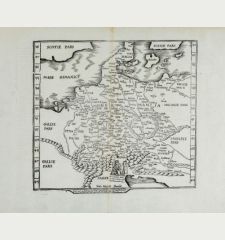 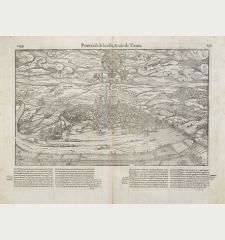 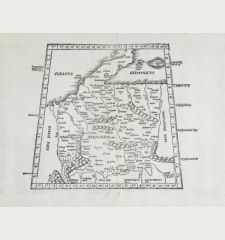 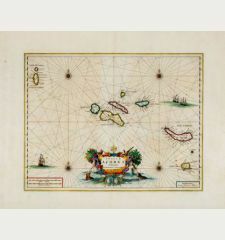 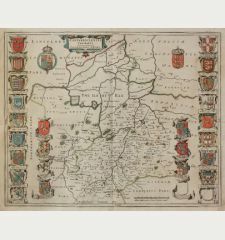 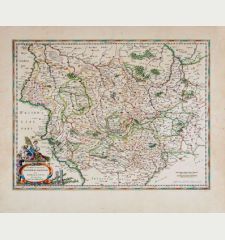 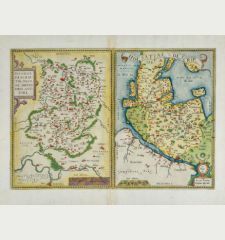 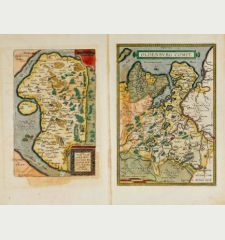 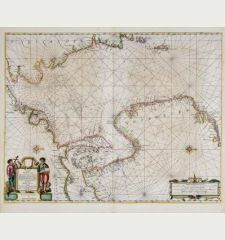 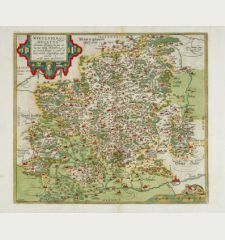 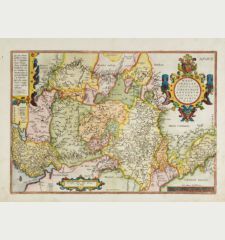 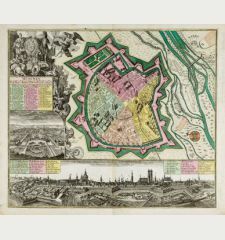 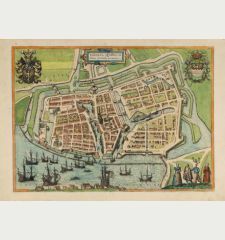 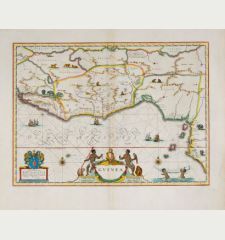 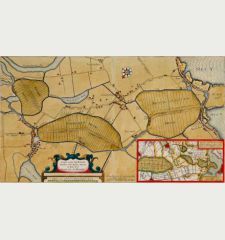 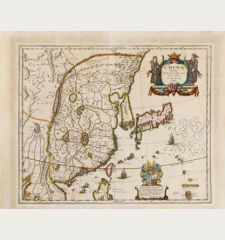 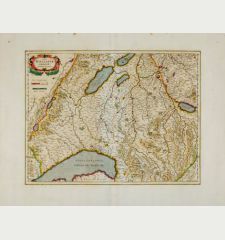 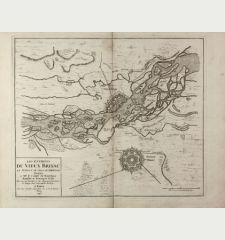 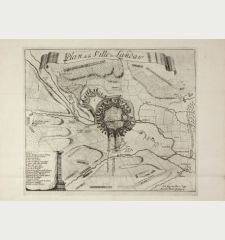 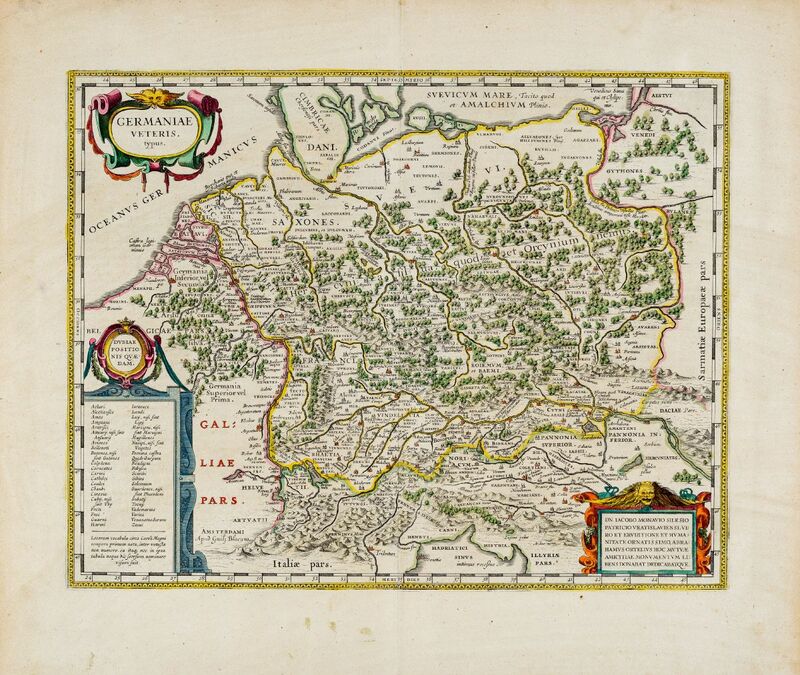 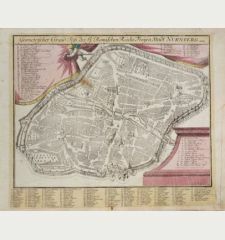 Beautiful copper engraving map from the Ancient Germany of Abraham Ortelius by Joan Blaeu. 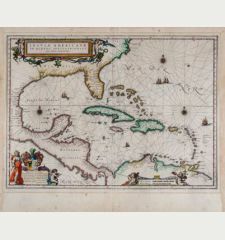 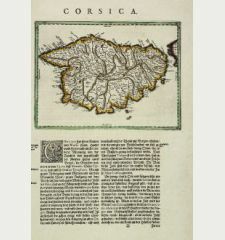 From one of the two Latin editions of the Theatrum orbis terrarum, sive Atlas novus from 1644-55. 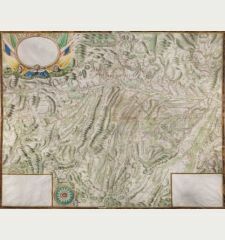 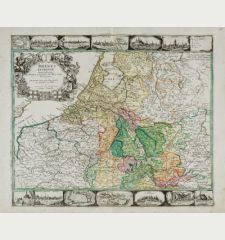 Willem Janszoon Blaeu: Germaniae Veteris typus.